My wife and I are not really huge on Valentine’s Day. We generally just exchange cards and have a nice dinner. 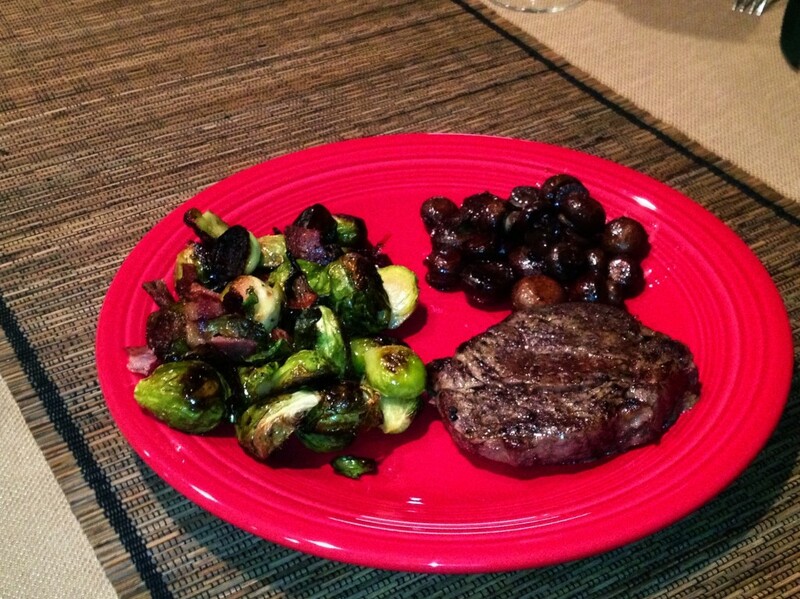 This year we had a delicious filet mignon that we enjoyed with sautéed mushrooms and roasted brussels sprouts. This wonderful, yet simple dinner only took me about 45 minutes to prepare and cook. I like to cook my filet in the kitchen rather than on the grill. A nice pan sear followed by some time in the oven always gives me the best outcome. 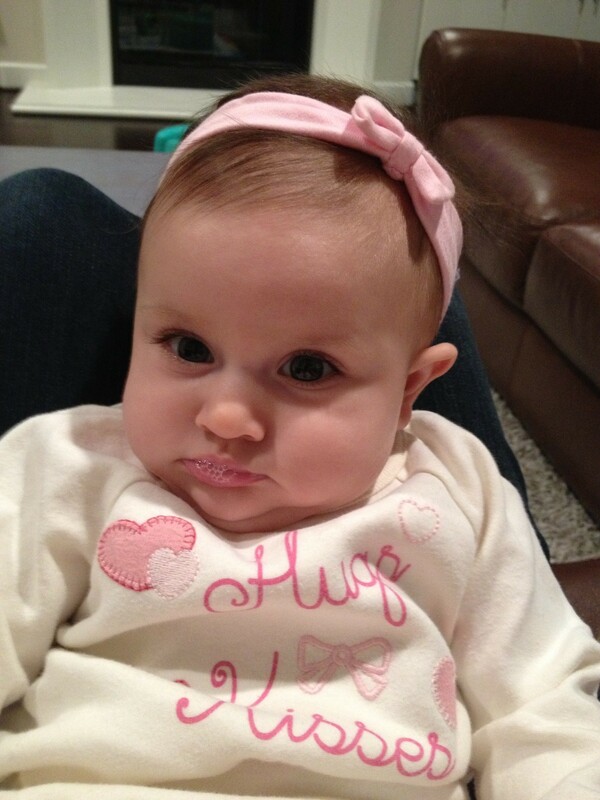 Karla and I got to enjoy our dinner while my other Valentine enjoyed her toys! Our bacon roasted brussels sprouts are a delicious side dish for any occasion. Step 3 Add lemon juice and bake for 30 minutes. Step 4 Remove from oven and season to taste. Looking to save time? Some markets, like TJ's, have brussels sprouts in microwaveable packs that could cut down on your prep time! One Response to "Bacon Roasted Brussels Sprouts"
These brussel sprouts were delicious and got us out of our asparagus and green bean rut! "Karen Ethier Maybe instead of frying in coconut oi"
"Ummm, i thought vegan means no animals... unless I"
© Copyright 2014 PrimalPrimos.com. All Rights Reserved.